these to guide their votes on election day.Three key principles divide the Democratic and Republican parties: limited government, traditional morality, and military strength. 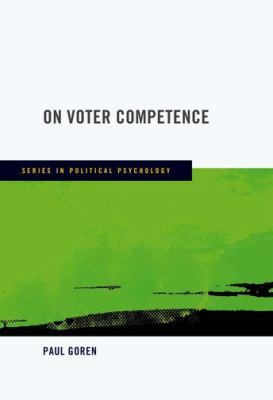 Deftly integrating research in social and political history, social and political psychology, and electoral behavior, Goren argues that nearly all citizens keep these principles in mind. The principles function as central heuristics in their belief systems, are rooted deeply in basic human values, and guide presidential choice to a similar degree for voters across the sophistication spectrum. Goren's comprehensive analysis of opinion data from the past six presidential elections and several new national surveys yields unequivocal support for these claims.Contrary to the indictment leveled by most of the scholarly community and political pundits more generally, ordinary citizens who are neither deeply knowledgeable nor engaged with the world of public affairs prove as adept as their more sophisticated counterparts in grounding presidential votes in abstract views about public policy. Insofar as citizen competence can be equated with the development and use of bedrock principles, the American voter performs far better than has been recognized in the past. The Exoneration of the American Voter?